Merdven-Kayasu mountain, but many people say that it is Uarch-Kaya, but it doesn't matter, the main thing is that two new routes appeared here. 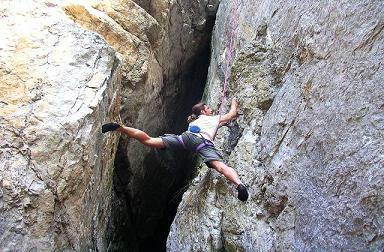 Safe bolting, interesting terrain, wonderful climbing. Welcome! Then continue the route « Подарка » (the Present) Good luck!